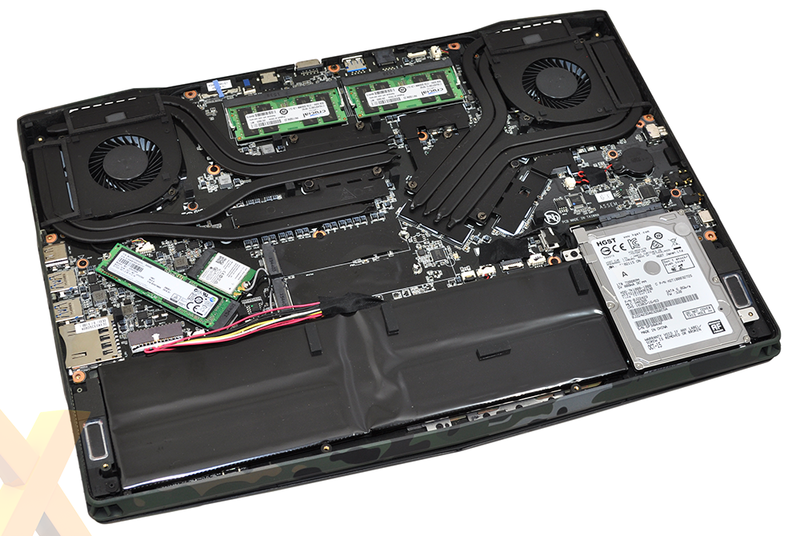 Gaming laptop manufacturers are all eagerly awaiting a next-generation GPU, but having had to outfit GTX 900-series solutions since late-2014, something else is needed to help maintain consumer interest. Aorus thinks it can turn a few heads with a special edition variant of its 15.6in X5S. Dubbed the v5 Camo, this is a limited-run product with only 500 units being brought to retail and pricing is set at a jaw-dropping £2,200. Got the funds? Then let's dive in and see what's what. 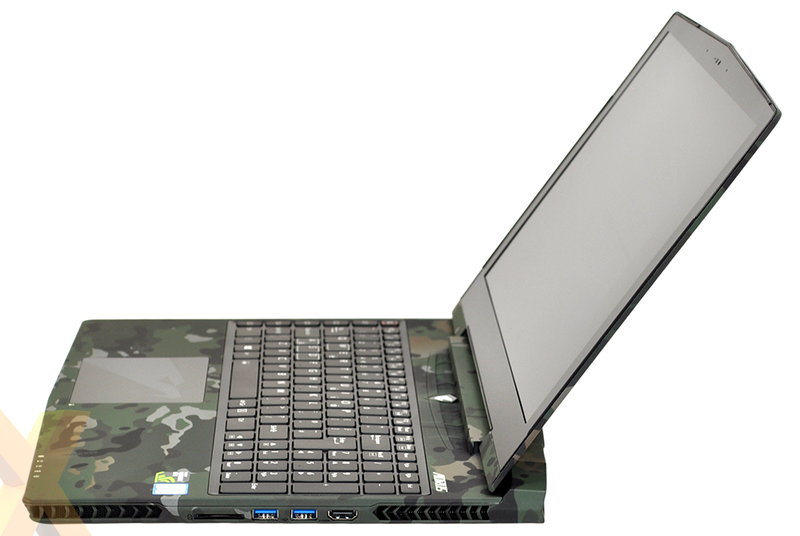 We must admit, when Aorus told us it would be sending in a gaming laptop in a camo colour scheme, we had our doubts. It doesn't sound particularly appetising, but we're always willing to be proven wrong, and on first inspection, Aorus's paintwork and finish is impressive. Rather than wrap the existing X5 frame in film, Aorus is making use of a water-transfer printing process that allows for the MultiCam camouflage to extend into the chassis' nooks and crannies. It's a job well done and it shows, as everything from the air vents to the speaker grills blend neatly into the colour scheme. The matte finish looks great and has the added benefit of repelling fingerprints - we've been playing with our review sample for the best part of a week yet it still looks like new. Creating a gaming laptop that's sleek, well-built and different to the norm is easier said than done, but Aorus has made a solid effort. The chassis is reinforced with aluminium on the top and bottom to provide a higher-quality feel, it measures under 23mm at its thickest point, and we even like the mirrored logo on the lid. The form factor is handy for getting from one LAN party to the next, and of course, if the military design isn't your cup of tea, there's always the plain-black variant for a hundred pounds less. We imagine a fair few enthusiasts will deem the camo paintwork worth the extra, yet it's worth pointing out that the military-style makeover doesn't extend beyond aesthetics. The laptop might look hard as nails, however it isn't technically any tougher than the standard X5S v5. 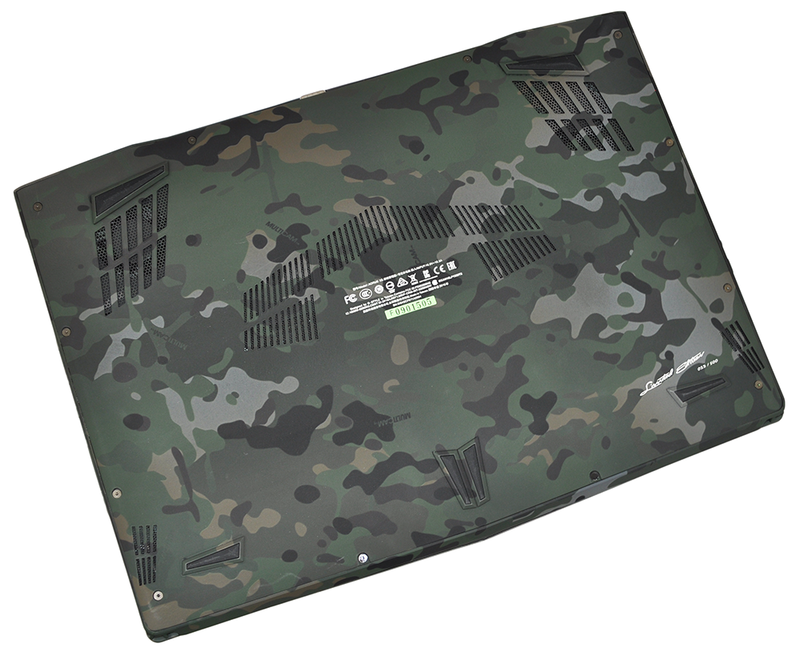 Don't expect any dust-proofing or water resistance, and whatever you do, don't attempt any military-spec drop tests. There's room for Aorus to expand on the camo design with future iterations, and we reckon it makes sense for the manufacturer to explore the possibility of adding Mil-SPEC certifications. Road warriors may like the way the laptop looks, yet they'd appreciate it even more if it was backed-up by guaranteed resistance to sand, humidity, vibration and temperature. Such robustness would of course add to the price, but what's a few hundred pounds among enthusiasts? 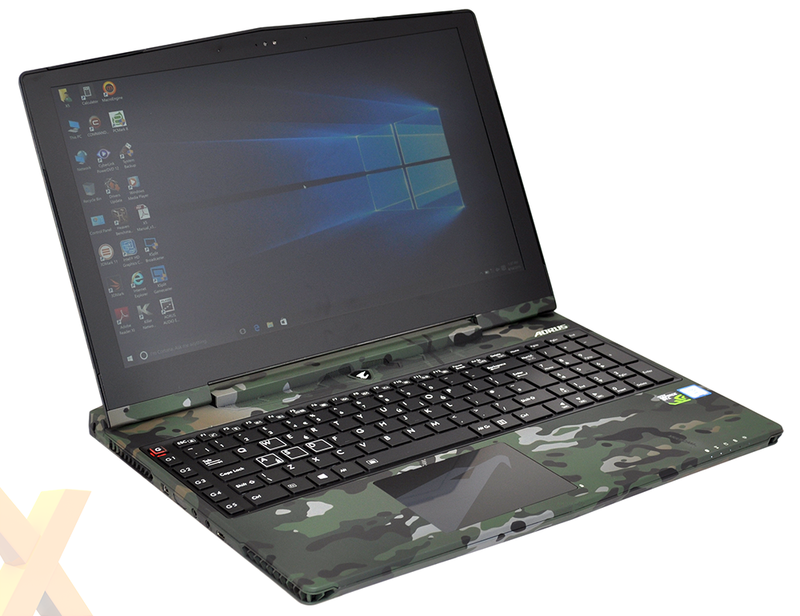 Outside of the MultiCam pattern, the laptop's make-up is essentially identical to the standard X5S v5. That's no bad thing, mind, as Aorus presents plenty to like. The keyboard squeezes-in a numpad and a dedicated column of macro keys on the left, and though the scissor-switch keys do feel a tad shallow, they're comfortable enough to type on and are assisted by full LED backlighting. 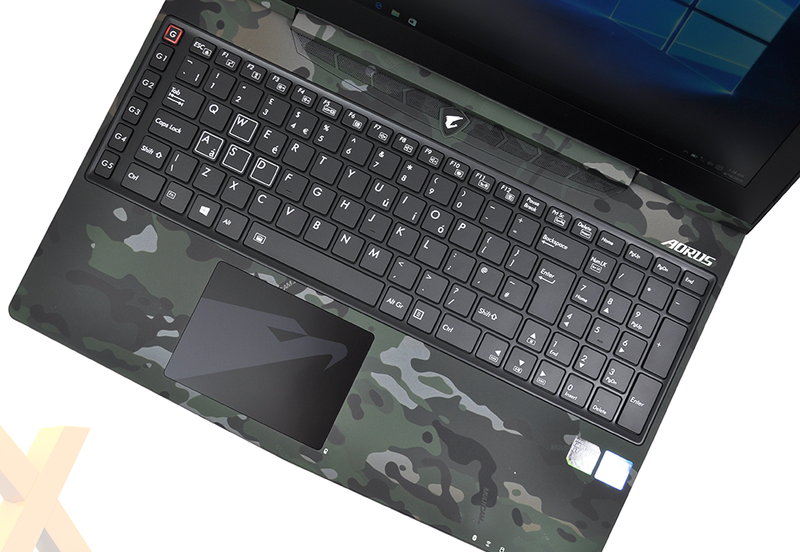 The MultiCam pattern isn't at all distracting during everyday use, and we appreciate the fact that Aorus has refrained from extending the camo paintwork to the keyboard, touchpad or display bezel. The TrackPad has also been improved since our first outing with the X5, as it's now touch-sensitive throughout and far more intuitive. There have been multiple refinements over the course of the past year, with the biggest changes taking place in the visuals department. Whereas the original X5 laptop married dual GeForce GTX 965M GPUs to a 3K (2,880x1,620) display, the v5 revision ups the ante with a single GeForce GTX 980M allied to a 4K (3,840x2,160) IPS panel from Sharp. A healthy upgrade, and we're of the opinion a single GPU is a preferred option, but gaming purists may lament the fact that G-Sync has fallen by the wayside. Nvidia's adaptive framerate tech was a key selling point on the first-gen model but no longer features on the X5S v5, but this is not Aorus' fault; Nvidia's Optimus and G-Sync technologies cannot co-exist right now. Past experience tells us that the GPU won't have the power to drive the latest games at the native resolution, but the extra pixels make for excellent clarity and there's ample desktop real estate for productivity. Viewing angles are good, as is colour reproduction, and the only slight niggle is backlight bleed along the bottom edge that's noticeable in very dark scenes. On the whole it's an impressive amalgamation of hardware for a thin gaming laptop weighing 2.5kg. Removing the bottom panel, which happens to be inscribed with a laser-engraved serial number, provides a better look. In its default specification, Aorus includes a quad-core Intel Core i7-6700HQ processor, 32GB* (4x8GB) of DDR4-2133 memory, a 256GB Samsung NVMe M.2 SSD and a 1TB hard disk for secondary storage. Connectivity options are decent, too. The laptop's left edge is home to mini-DisplayPort, a pair of audio jacks and USB 3.1 Type-C. On the right edge you'll find an SD card reader, two USB 3.0 ports and HDMI 2.0 out, plus there's Gigabit Ethernet, another USB 3.0 port, VGA and a power connector tucked neatly around back. Capable hardware, so let's load up some benchmarks. [*Update] Aorus has since confirmed that UK retail units will in fact ship with 16GB of DDR4 memory in a dual-channel configuration, rather than the 32GB present in the enhanced media sample.